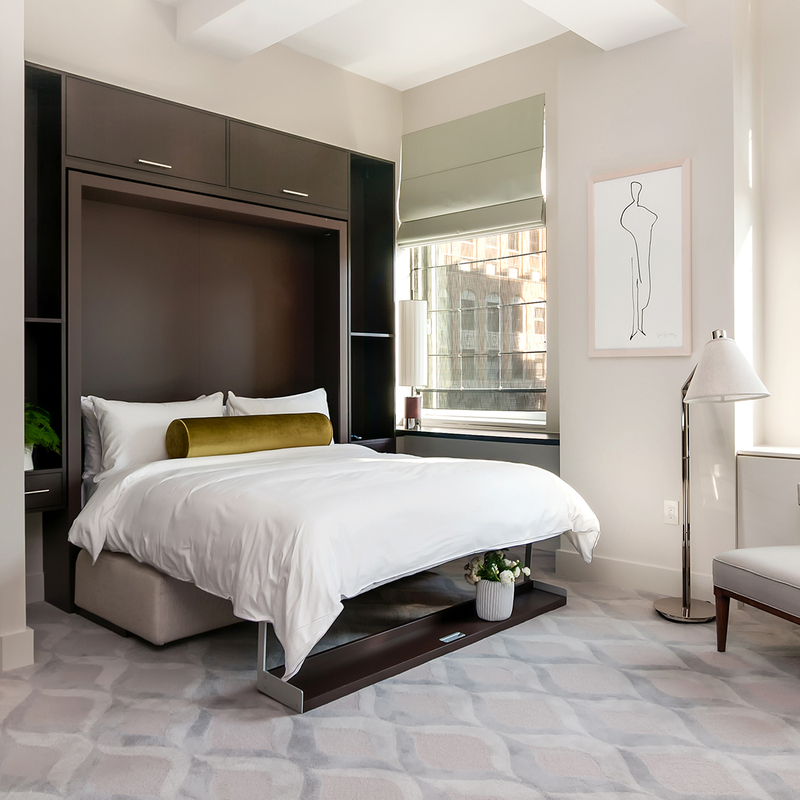 Tranquil and polished, The Marmara Park Avenue is a heavenly escape from the noise, pace, and pressures of the city. 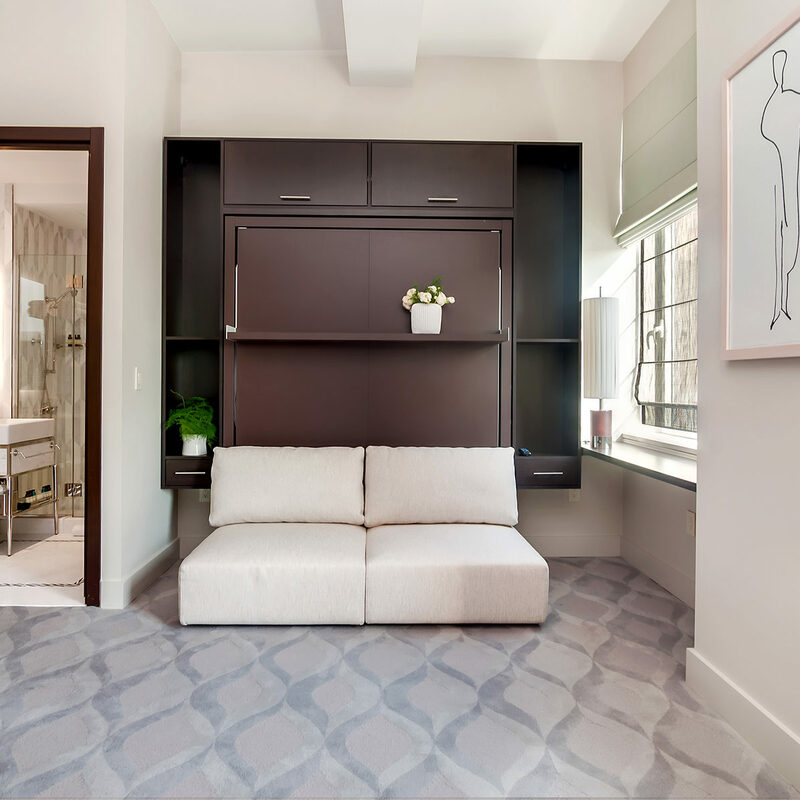 To enhance the functionality of the rooms, 17 of the guestrooms feature a Swing wall bed. An impressive feature of the Marmara is that not all rooms are standalone rooms. 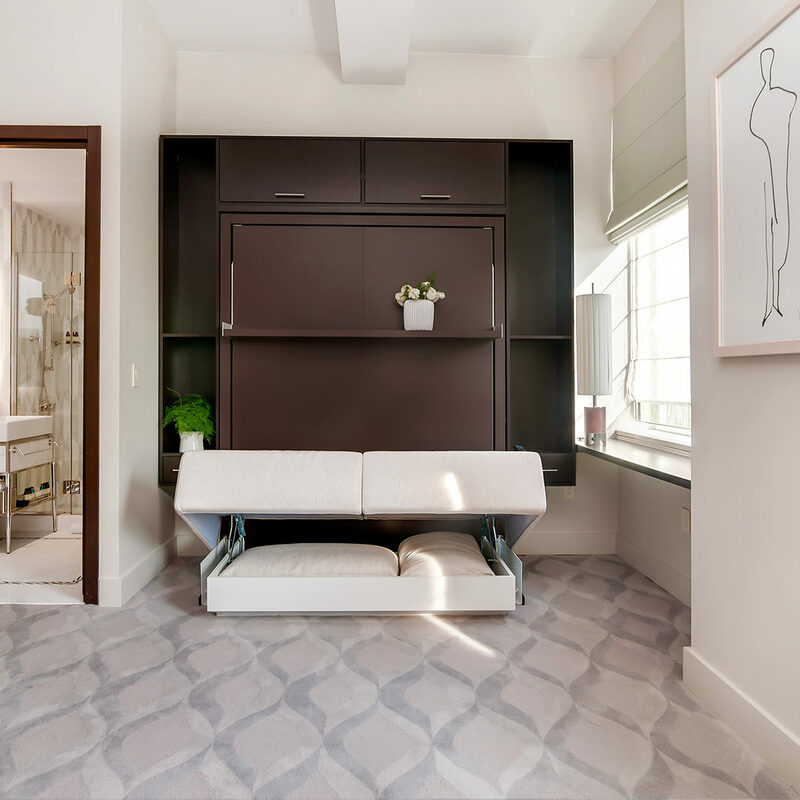 In fact, they can connect to other guest rooms or suites to provide additional space for a group or family and add a conjoining space for a caretaker or teenager. 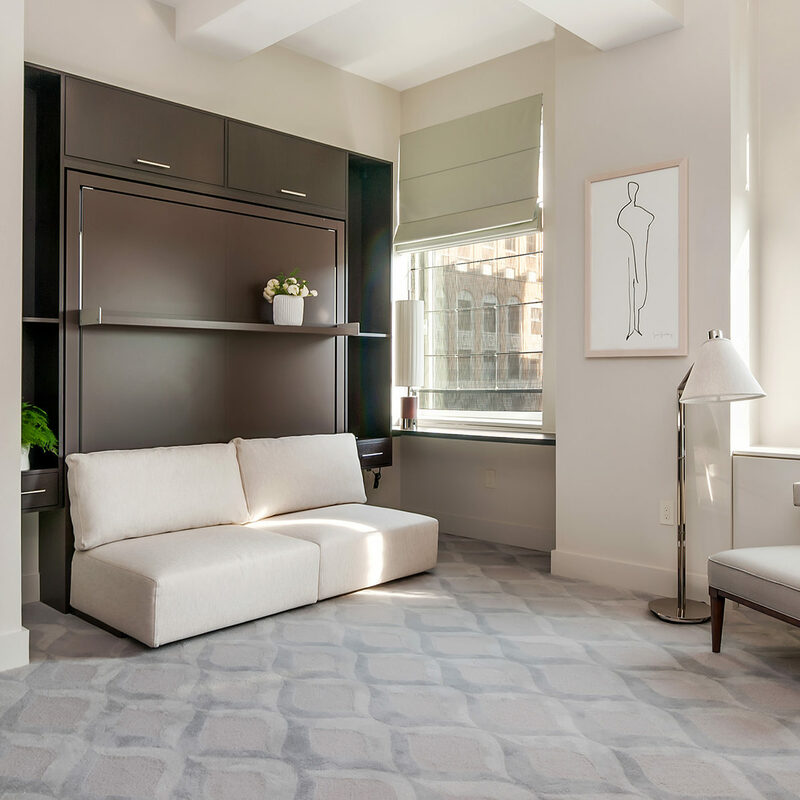 Designing the hotel this way allows the Marmara Park Avenue to be a much more flexible business. By incorporating a multifunctional wall bed into the design of the hotel, the rooms function as both a living area and a bedroom when needed. The Marmara is leading the way in demonstrating how a small yet intelligently designed hotel suite can not only be luxurious, but can also provide all the comfort, spaciousness, and amenities today’s demanding traveler requires. Features of the Marmara include large wetbars, fully-equipped kitchens and stainless steel appliances.